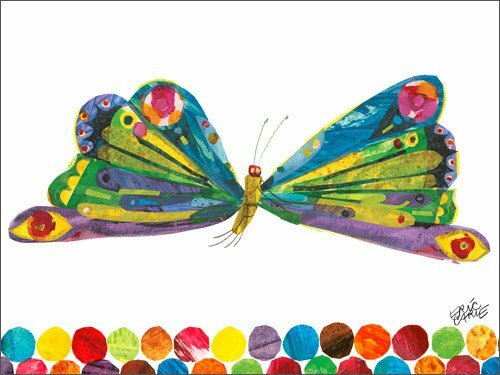 Your child will be delighted as they recognize this vibrant butterfly created by Eric Carle. This iconic character is featured in the book The Very Hungry Caterpillar and serves as a wonderful way to unite the joy of reading with your child’s surroundings. The World of Eric Carle is beautifully reproduced in this glicee collection that features his most beloved characters.